Kathleen was initially elected in 2004 and she is married to Jim. 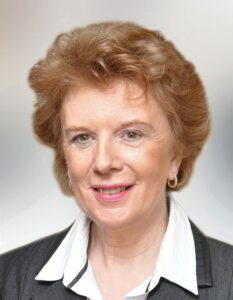 An effective and competent person she was Chairperson of Wexford County Council in the 2012-2013 periods, indeed she was the first woman to serve full term as chairperson at Wexford County Council, and was also she was also Vice Chair in 2012-2013. She is particularly public-spirited and is involved with many local charities in a voluntary capacity. She is an active fundraiser and her considerable efforts have raised much needed funds for these very worthy causes including the Hope foundation in Enniscorthy. A person that can be trusted Kathleen is ready to represent the people within her local electoral area in whatever capacity is required of her.